So you’re a car driving down Route 66 through the town of Radiator Springs…inside Cars Land. So really you’re human. 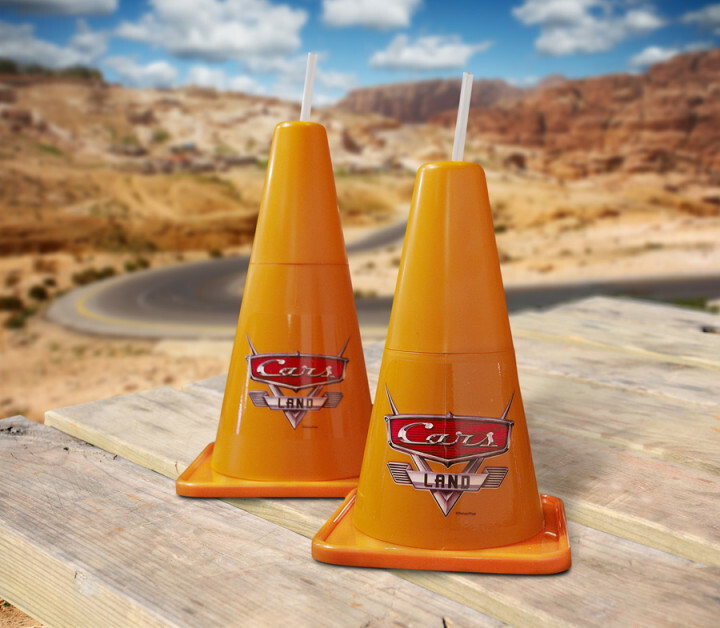 But since you’re human and its a hot summer day inside Cars Land, you’ll want to either cool off your radiator cap or satisfy your thirst for fuel. What better way to do either then by getting some very interestingly named yet tasty drinks! 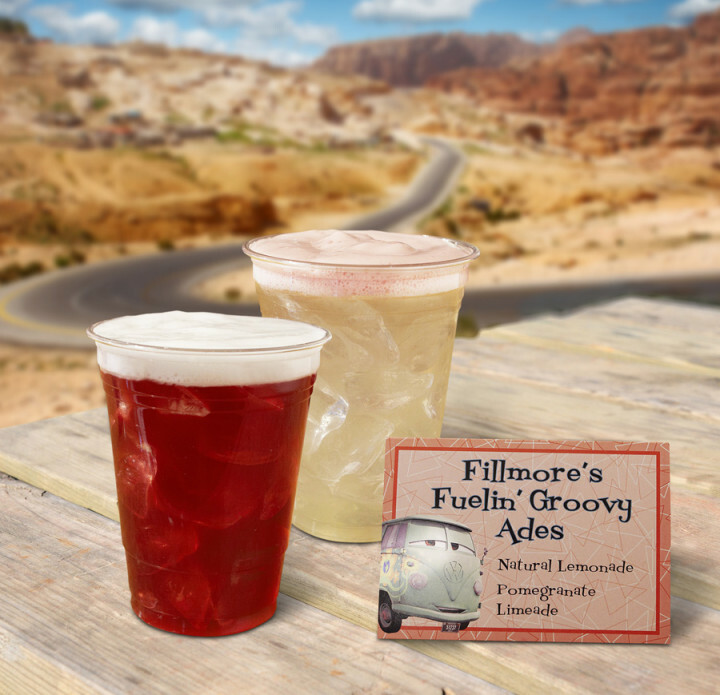 Try Fillmore’s “organic fuels” like a Natural Lemonade or Pomegranate Limeade. 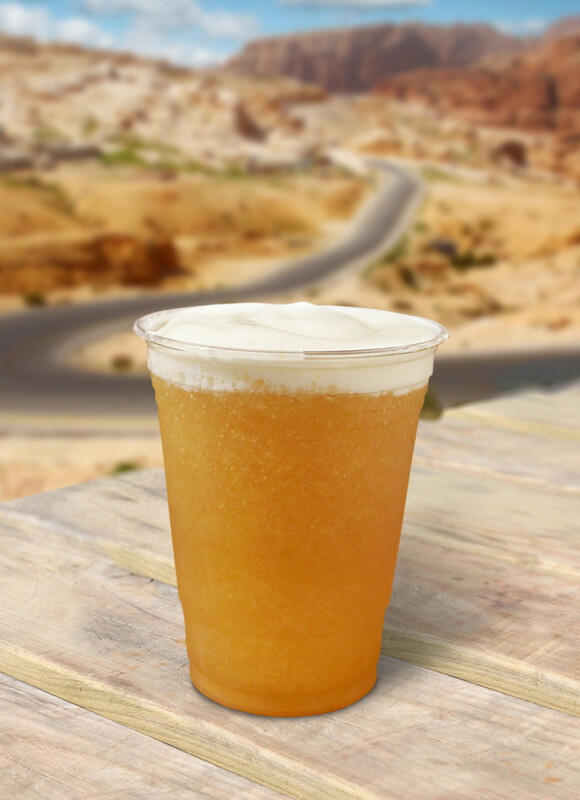 Or perhaps Red’s Apple Freeze that very much tastes like a cold yet varied apple cider. 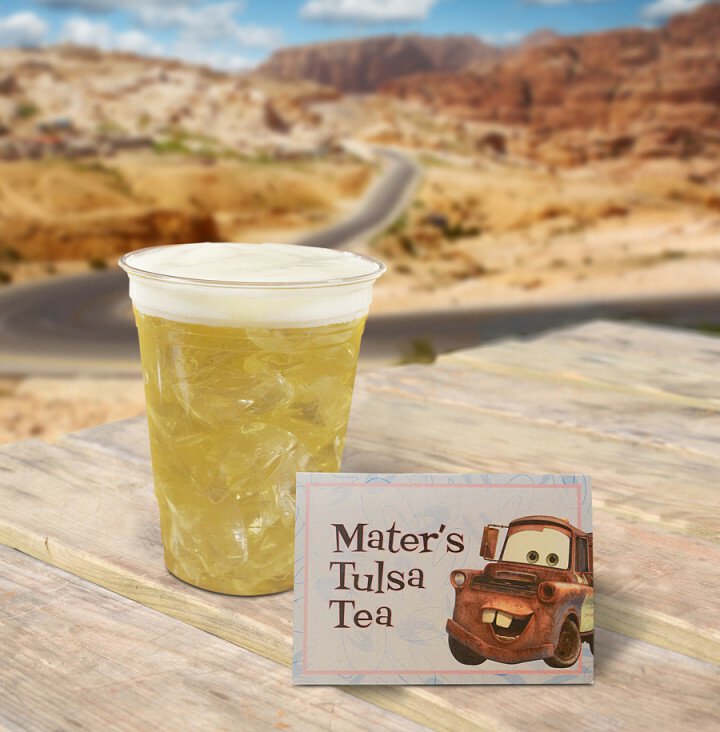 Our personal favorite here at DE is probably Mater’s Tulsa Tea – a sweet green tea topped with passion fruit mango foam. Yea, or favorite fuel which can be found at Flo’s V8 Cafe. Not to mention you can get each drink in a “cozy cone” cup! Ready to fuel up for another drive? Cars Land has got you covered!